Land Rover Special Vehicle Operations has produced a special build of the Discovery SUV for the research team over at Mobile Malaria Project. The team will head into the depths of the African Tropics to study malaria-bearing mosquitos and find possible ways to keep the epidemic in check. The off-roader has been fitted with rescue equipment, sun-blocking tents, and a mobile lab for DNA sequence analysis. The entire equipment needed by the mobile research station is conveniently located inside the spacious (1,137 liters / 40.1 cu.ft.) trunk area of the vehicle. Included are a portable power battery, a fridge for biological materials, and an assortment of cases and boxes fastened with belts and loops. SVO has worked together with the research team to design the optimal storage layout for their entire inventory. 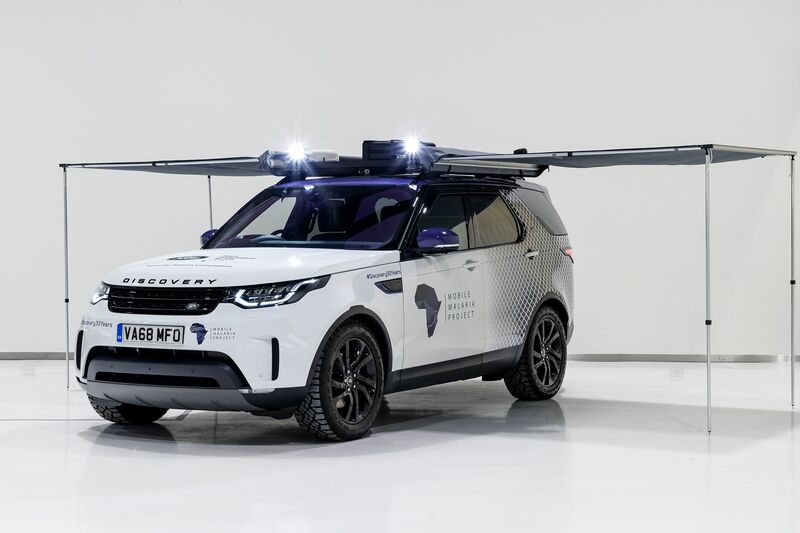 Among other things, the Africa-going Land Rover Discovery comes equipped with a roof-mounted light rack, a winch, an expedition rack, and sand tracks. During their quest to study malaria, the expedition will subsequently visit Kenya, Tanzania, Zambia, and Namibia.